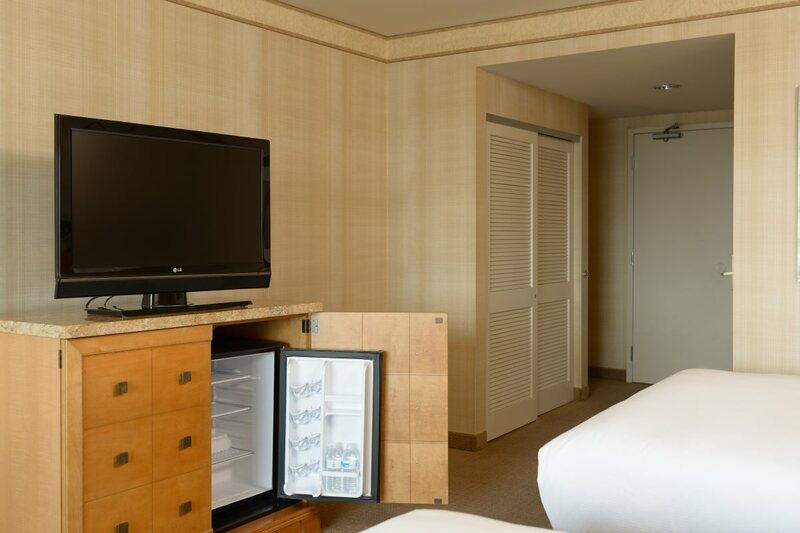 This mobility accessible standard room features one king-sized bed, and a roll-in shower. 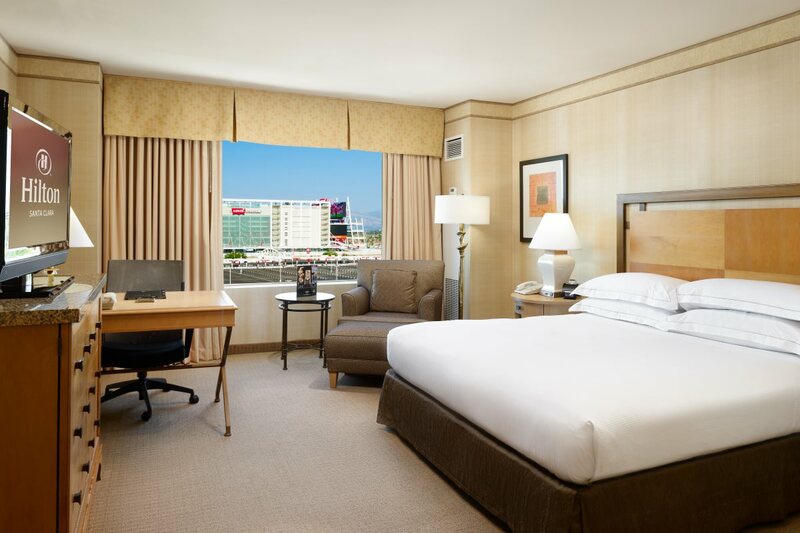 You will be welcomed by a California King which features a pillow-top mattress, down pillows and 250 thread-count linens. King bedded rooms have 354 sq. ft. and can accommodate two guests. Rooms are decorated with soft colors and light maple, ash and Bombay mahogany furniture with plush chair and ottoman, 37-inch plasma HDTV, and Hilton alarm clock radio. 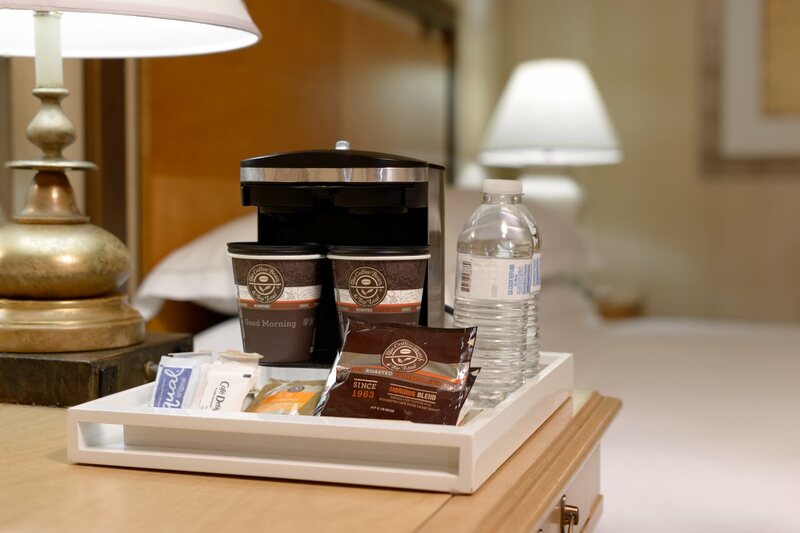 In-room technology includes an efficient work-space to complete any unfinished business with ergonomic chair, extra outlets and complimentray internet or WiFi access. Our luxurious bedding provides a relaxing environment to unwind after a long day of meetings. Pamper yourself in our marble accented bathrooms with designer bath amenities. Any corresponding photo may not reflect the specific accessible room type or room feature.